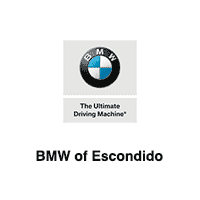 BMW of Escondido is home to a truly special service and repair center. It is fully-equipped with the latest in automotive-servicing technology, and our team of BMW certified technicians have a proven track record of delivering consistent and extraordinary automotive services. If your BMW requires any sort of service work, ranging from the absolute smallest of maintenance tasks like changing the oil and resetting warning lights, all the way to extensive collision repairs following an unfortunate accident, or anything else in between, our service center is more than capable of handling it! One aspect that positions our service center above the rest is that it is located off-site from our main dealership showroom. Since it possesses its own location, we were able to utilize a much larger space, meaning that we can serve more customers and have a much quicker turnaround rate than your average auto service center. With this extra space, BMW of Escondido is even more confident in our ability to satisfy your needs in a timely fashion! You will be back in your BMW in no time, cruising safely down the streets of California enjoying peace of mind knowing that your automobile is in great shape. We welcome all drivers from the Escondido, Vista, Murrieta, Carlsbad, and San Diego areas of CA to keep their BMW running at its best, through the use of our service center. Remember, it is located off-site, only a half-mile down the street from BMW of Escondido. Utilize our Service Scheduler for a quick and seamless appointment for all your BMW parts and service needs near San Diego.